Which process do I need to use? 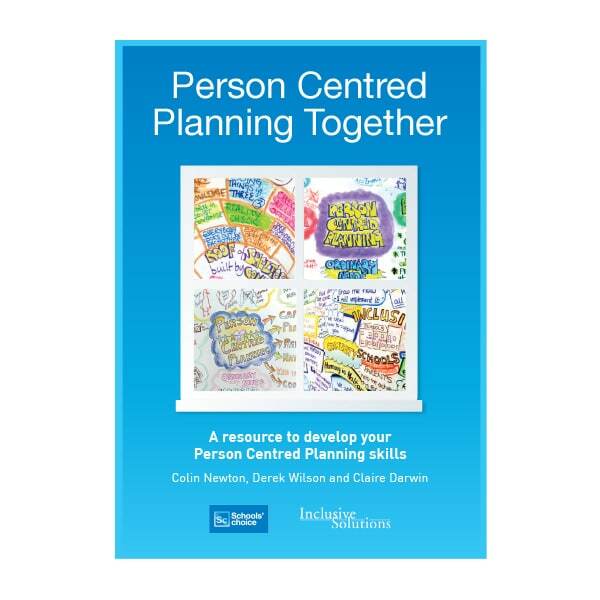 Person centred planning is a collection of tools and approaches based upon a set of shared values that can be used to plan with a person – not for them. These tools can be used to help the person think about what is important in their lives now and also to think about what would make a good future. Planning should build the person’s circle of support and involve all the people who are important in that person’s life. Colin Newton of Inclusive Solutions describes what is meant by Person Centred Planning in the video below. We have a range of experienced facilitators working with us here at Inclusive Solutions available for family, team or organisational planning. 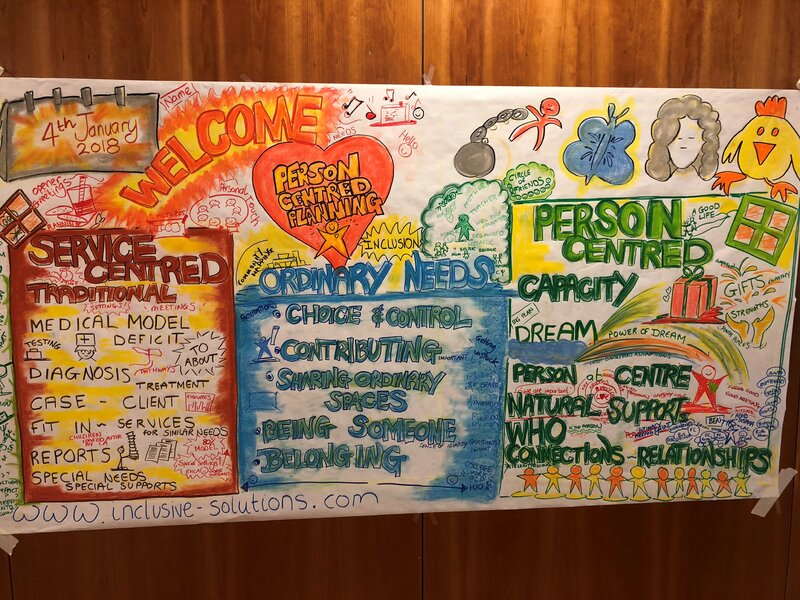 Person Centred Planning was first developed in the 1980’s by a small number of people including John O’Brien, Connie Lyle O’Brien, Beth Mount, Jack Pearpoint, Marsha Forest and Michael Smull. It was developed as a way of enabling people – children and adults – to move out of special segregated places schools, hospital and institutionals into mainstream life – schools and communities. Person Centred Planning is built on the values of inclusion and looks at what support a person needs to be included and involved in their community. Person centred approaches offer an alternative to traditional types of planning which are based upon the medical model of disability and which are set up to assess need, allocate services and make decisions for people. Person centred planning is rooted in the social model and aims to empower people who have traditionally been disempowered by ‘specialist’ or segregated services by handing power and control back to them. Person Centred Planning is not one defined process, but a range of processes all sharing the same underpinning values base and goal – to help a person who has been disempowered – for what ever reason – to move toward the life that they want and to get the right support in doing this. Although person centred planning was developed for disabled people it is a tool for everyone. Very little research has taken place into person centred planning, however vol. 27 number 4 of the TASH journal (2002) was partly devoted to the theme of evaluating Person Centred Planning and contains a strong paper by John O’Brien on the kind of research mindset that he feels will best serve the values of this area of work. Inclusive Solutions have been using these processes since 2001 in an ever widening range of situations including Personal Education Planning (PEP) meetings for Looked after young people, Team around the Child (TAC) meetings, Educationa and Health Care Planing (EHCPs) mapping in Social Care settings, pre and post exclusion planning meetings and a whole variety of transition planning meetings. Whole team planning has allowed work with whole school staff, amalgamating teams, Local Authority teams, conflicted services and so on. Work with families and around children and young people of all ages. Hampshire EPS learning about PATH – person centred planning – they did great! What do people say about our Person Centred Planning work? Leanne, Inclusion Manager from Pembrokeshire, giving her feedback on the PCP process. What about when there is not enough support to follow the PATH? You might approach Inclusive Solutions to provide an input of – Inclusion Facilitation. Inclusion Facilitation is designed to create a better life for an individual by a series of visits getting them out and about to increase confidence, social skills and presence in his local community and to pursue their goals and dreams. To create a better life for the Individual. To maximize individuals inclusion and connection with the wider community. To increase confidence, social skills and presence in his local community and to pursue their goals and dreams. In recent years Inclusive Solutions have been visiting the Czech Republic to offer training on Person Centred Planning. Together we have had some remarkable experiences and there has been some wonderful implementation of this inclusive way of working. This document reveals some of the work and thinking that has occurred. Why Person Centred Planning is important in the UK Now? The Children and Families Act 2014 sets out clear principles for supporting and involving children and young people in all aspects of the support and planning of their special educational need. The Special Educational Needs and Disability Code of Practice: 0 – 25 years provides the statutory guidance relating to part 3 of the Children and Families Act 2014. Embedded in its principles is the need for a stronger focus on the participation of children, young people and their parents/carers in decision making at both individual and strategic levels. The use of Person Centred Approaches provides the opportunity to fulfil those principles. Working in this way ensures the CYP and their parents/carers are at the centre of all decision making and future planning. It provides an opportunity to engage directly with children and young people to discuss their needs, and plan how they can achieve the best possible outcomes. This should be integral to all planning for children and young people with Special Educational Need and Disability (SEND) throughout their lives. Education Health Care Planning processes are required to be truly person centred at every stage, including annual reviews, so understanding this way of working has never been more essential. These tools were developed by Jack Pearpoint, Marsha Forest and John O’Brien to help marginalised people be included in society and to enable people to develop a shared vision for the future. MAP and PATH can be used with individuals and their circle of support, families teams and organisations. 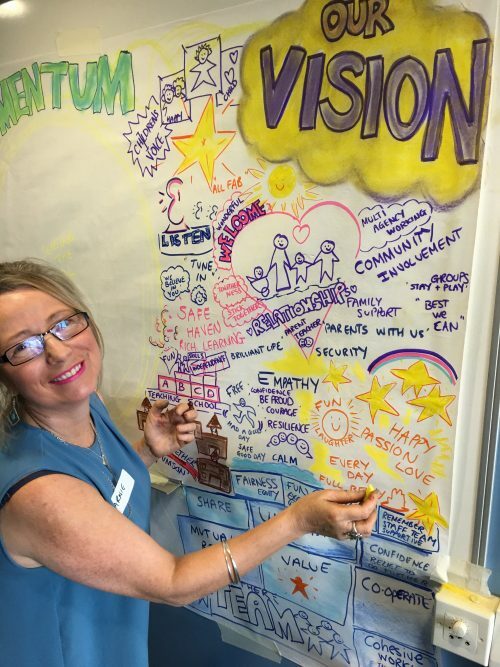 Both MAP and PATH are facilitated by two trained facilitators – one process facilitator who guides people through the stages and ensures that the person is at the centre and one graphic facilitator who develops a graphic record of the conversations taking place in the room. 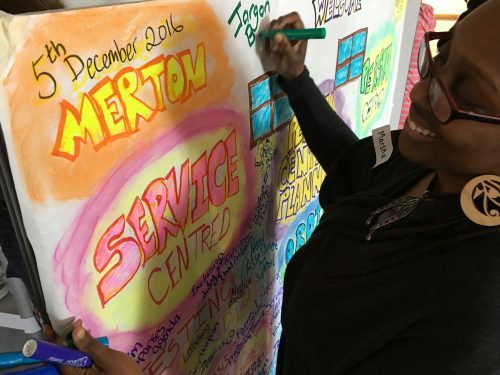 West Sussex work on Person Centred Planning – lots of great examples of work in schools and across the LA are described here following the training by Inclusive Solutions team over a number of years. MAPS and PATH are creative planning tools that utilise graphic facilitation to collect information and develop positive future plans. MAPS focuses on gathering information for planning – based on the story (history) of a person or organization. Essential Lifestyle Planning is a method of planning that was developed by Michael Smull and Susan Burke-Harrison to support people who were moving out of institutions into their communities to ensure that learning about what is important to people and what support they need was captured and used. An essential lifestyle plan focuses on what is important to someone now and balancing this with things that we need to know or do to keep the person healthy, happy and safe. An essential lifestyle plan should always have a action plan and it is vital that the plan changes and grows as the person is – it is a living document. Essential Lifestyle Planning is slowing being replaced with one page profiles and living descriptions on the premise that makes sense to start small and build on our learning. Many of the same tools are used – these tools are called the person centred thinking tools. Check out Babu’s excellent one page profile – featured in our latest books ‘Keys to Inclusion’ and ‘Person Centred Planning Together’. This excellent booklet has been written by a young person from Scotland with help from those who know him best, starting with his family. Essential Lifestyle Planning has informed many of the questions posed in Stephen’s book. Radically change your IEP and review work today!! Another fine example was created by Joe and his family and friends just before secondary transfer. It has already proved invaluable. Schools really value school improvement processes that involve all members of staff. The PATH process is ideal for this kind of work and not only supports collective planning but also has a powerful team building impact. Call Inclusive Solutions to talk though your school’s situation and we will come along and facilitate either a half full day with your full team – including staff, pupils, admin staff, midday supervisors, site manager and governors. We have evidence that this way of working brings whole school change and can accelerate progress towards being an outstanding in OFSTED’s terms or outstanding in being a truly great inclusive school! Three years of Inclusive Solutions facilitating the PATH process with this really inclusive school has contributed to the school’s development which was endorsed by OFSTED as outstanding. Jackie Moss Headteacher Trent Vale School, Nottinghamshire, describes two sessions of visioning with Inclusive Solutions. Pupils and Parents – Staff and Governors – culminating in a ‘compare and contrast’ session. Two Governors reflect on these powerful processes and directions for change. A very experienced Secondary Academy School Governor says it all…. Training on Person Centred Planning can be provided as introductory workshops or full days or much more in depth over a number of days. 1 day follow up after 3 months to problem solve issues and celebrate what achieved. For the full list of PCP Training we offer, click here. MAP for the development of South West Surrey Educational Psychology Team – facilitated by Colin and Elliot Newton of Inclusive Solutions. We can join with you and your organisation to lead visioning, personal or organisational futures planning using tools such as MAPS or PATH around an individual person or a team searching for consensus and direction. 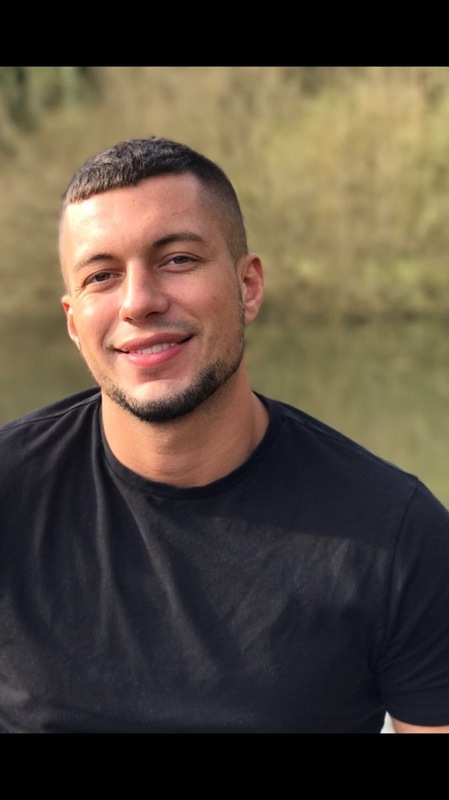 These tools can replace reviews and transitional planning processes for many young people with high support needs and can break in to destructive cycles of blame and exclusion around young people labelled as ‘trouble’. We actively work to include children and young people in problem solving and planning processes. Pictures, key words, and graphics help support our workWe have been busy this year facilitating PATHs and MAPS around the UK, for all kinds of reasons. Click here to find out more about our training. In the UK we need to find much more person centred approaches to annual reviews, transition reviews, and all the rest! Our planning too needs to reflect our wish to respectfully involve the student in meaningful ways. Our Individual Education Planning (IEPs) could be so much more person centred and child friendly, both in process and actual plan produced. Read this! Great book with web resources to support – directly reflects our training days! How should we reflect afterwards about our person centred work? Person centred planning is a way of expressing a set of inclusive values through a unique range of tools and techniques. The most commonly used person centred tools – MAPS and PATH – create a hands-on demonstration of these values in action. All person centred planning tools and processes are driven by a commitment to achieve inclusive outcomes for the person whose plan it is, and the young people involved are always present throughout their Planning session. The focus of all person centred approaches is the whole person – irrespective of the label they carry. Two people – a process facilitator and a graphic facilitator, typically facilitate plans. The role of the support service staff in this work is as a facilitator – not as an expert participant, problem solver, assessor or provider of consultation. MAPS and PATH are especially effective tools in planning transitions and annual review processes for young people with additional support needs and for through-care planning for young people who are looked after or accommodated. Colin offers a short 30 minute introduction to Person Centred Planning in this Webinar broadcast. Dreaming together is a unique element in person centred planning. Interested? Call or email us on details below!